Tradition crosses over with the Browning OneSixOne Crossbow. The wait is over. The OneSixOne crossbow now connects the tradition and heritage of huntingi? ?s most trusted brand to the fastest growing segment of the sport. 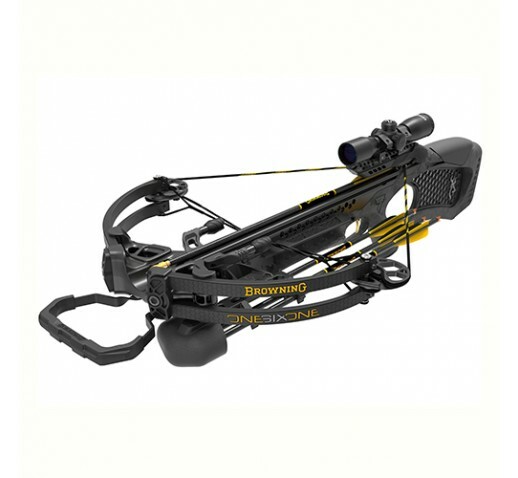 Firing at 350 FPS, this crossbow is well equipped to deliver exceptional results. Loaded with high-end features, it simply provides everything you need to take to the hunt and fill your tags. - Axel to axel: 21.875"